The way that any business today interacts with their customers has been changed by technology. These interactions used to be hidden, and often never saw the light of day for other consumers. It often took a much larger effort on the part of the upset customers to bring attention to how upset they were over the incident, and often, they didn’t have a very big base to make an impact with the company afterward. That’s all changed, in a big way. Social media and the internet have created a platform where even the smallest voices get heard, and an upset customer can spread dissatisfaction far and wide. The good news is that while it does make it easier for these customers to be heard, it also makes it easier for your restaurant to provide better customer service. The internet and social media provide an easy medium for the flow of communication. It makes it a natural spot for companies like your restaurant to handle your customer service needs. In fact, a 2013 J.D. Power survey found that 67 percent of consumers report that they reach out to a company’s social media accounts for customer service rather than calling or writing the company. As time passes, this percentage could grow even higher. The benefit of the internet is that this open communication makes consumers feel as though they have more of a voice than they did previously. One of the things that make the internet so powerful is that it’s a platform that offers a quick-to-respond format for both the customer and the company. When it comes to a response, 42 percent of customers that contact a company through social media expect a quick response back – for many customers, this is ideally in an hour or less. The nice thing about social media is that it is doable for a company to respond quickly. Resolving the customer’s complaint quickly turns around any unhappy thoughts about the incident before they truly set in. They go to bed feeling as though their complaint mattered — and you have hopefully saved that customer relationship. Not only can you turn around a dissatisfied customer’s feelings over your restaurant, but you’re also posting a response that can be seen by more than just that customer. Other people will see how quickly you’ve responded to the complainant, and how exactly you responded. Of course, when it comes to getting personal information, it’s best to have them private message your account to resolve the matter, but the fact that you responded and how you responded can be seen by others. In fact, you may not make the incident better for that customer, as you can’t always please everyone all the time, but you may make a difference in the public perception of your brand, which can be better than retaining that one customer. People who are dissatisfied with your restaurant are usually willing to move heaven and earth to let others know about what happened to make them feel that way. Social media has simplified this for them and made it that much easier for them to comment. However, it’s also the same for people who are satisfied with your restaurant. Previously, when it took more effort to talk about a great experience, they may not have made much of an effort to tell the world. Now, they have the same platform for positive shout-outs. While it’s been shown that people who are satisfied tend to post less about their great experiences, you’ll find that there is still a high percentage of positive free marketing you can get from them on social media. Customer service doesn’t have to happen in response to something that comes from a specific customer’s comments. Use your social media channels to promote positive engagement with your customers. Promote your business while asking for input on things to improve. Everyone likes to know that their opinions matter and are usually more than willing to respond to surveys or questions asking about improvements or new menu items. 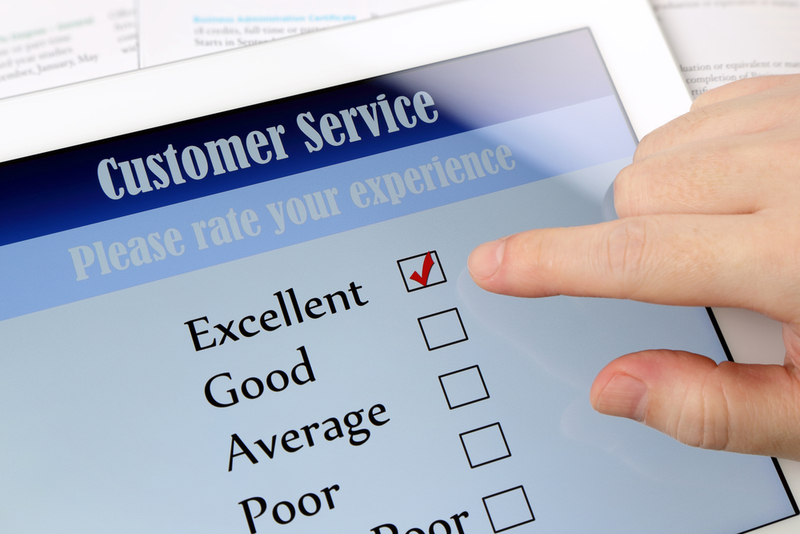 It can be a great boost to your perceived customer service. 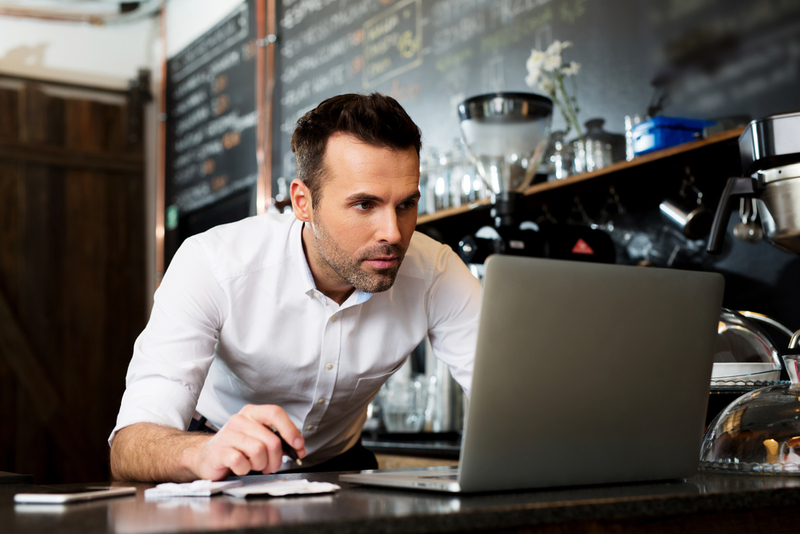 Overall, the quality of customer service for the restaurant industry has gotten better thanks to the use of social media, the internet and technology in general. One of the ways that you can address the needs of your customers is by implementing online ordering and other online platforms for your customers to interact with your business. Contact Orders2.me today to discuss having a website built for your restaurant or adding online ordering to your existing internet presence. You won’t regret taking a step towards servicing your customers by making your ordering process more convenient.